Happy Friday! I’m sharing my latest quote print with you today to send you into the weekend with a bit of inspiration. 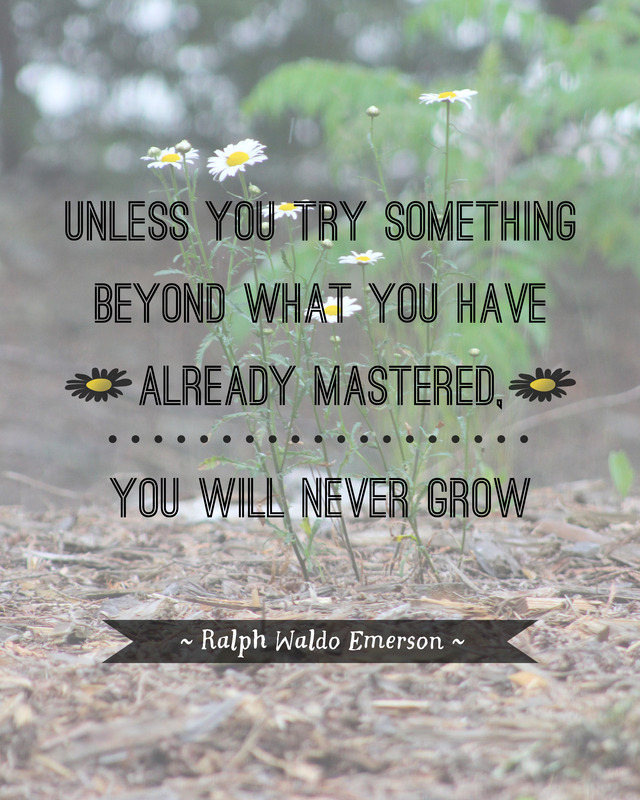 This quote is a great reminder that you’ll never grow if you don’t try new things. It’s not easy learning new things, believe me. It takes dedication, determination, commitment, and time, but it’s worth the blood, sweat, and tears. Don’t settle for good enough. Push yourself to be better. Hope you are inspired by something or someone this week. Enjoy your weekend! Photo taken by me in a rain storm in Door County, WI. Font used: Ostrich Sans Bold and Sister Corita. Yes, sometimes we have to dive into the deep end.